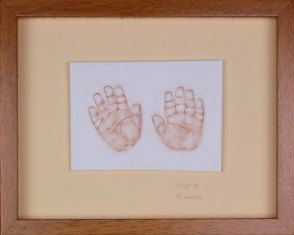 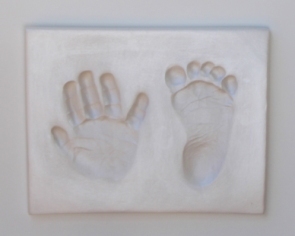 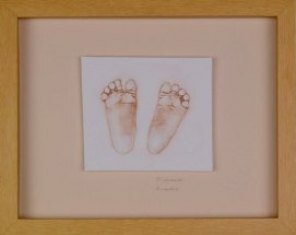 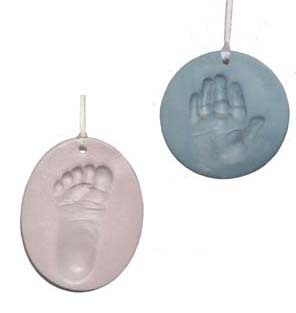 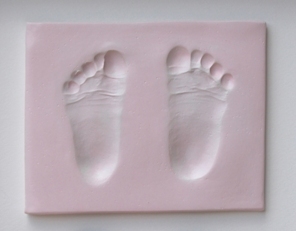 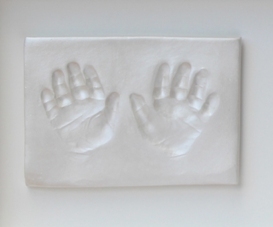 It takes time to create the high quality, handcrafted, detailed pieces that Innocent Impressions provide so that you’ll have a beautiful, everlasting impression of your child’s hands and feet. 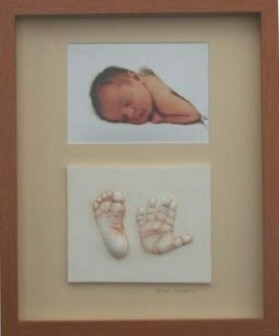 The impressions are then displayed in contemporary box frames with complimenting mats. 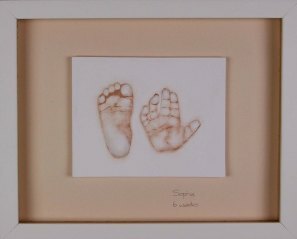 You can purchase the impressions unframed if you prefer. 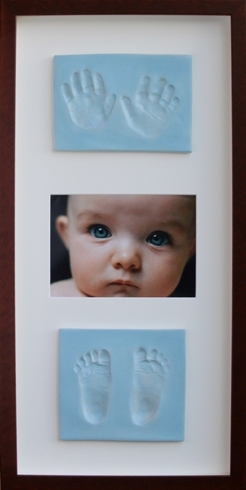 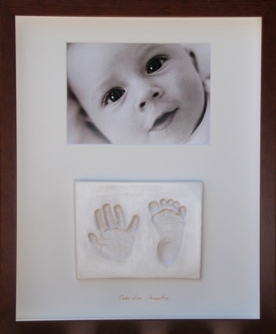 Prices are based on a baby under 6 months of age and the use of our standard frame sizes. 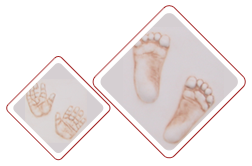 If your child or children are aged 6 months or older please email us for a quote. 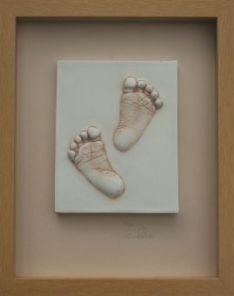 If you'd like a bespoke creation please contact us or call to discuss your requirements. 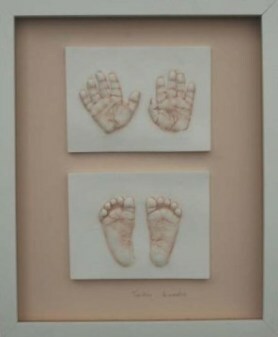 We now have 2 ranges to choose from - The Terracotta Range and The Petite Prints Range.